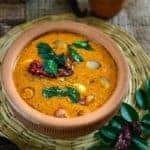 Ulli Theeyal or Onion Theeyal is a quintessential Kerala gravy made using small pearl onion that is dark brown, loaded with flavor and best goes with white rice and ginger pickle. 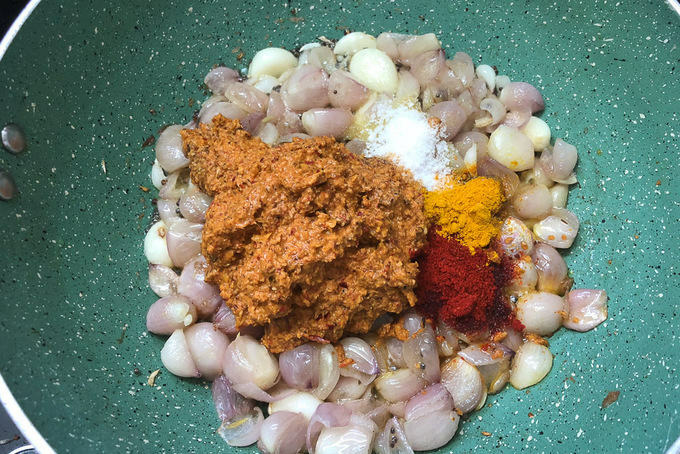 Here is how to make Ulli Theeyal Recipe or Kerala Onion Curry in a traditional way. Theeyal is recipe from kerala that I love to the core. 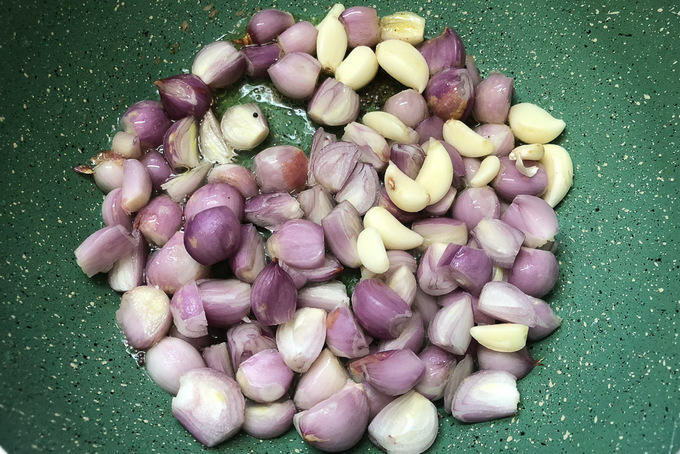 Ulli Theeyal Recipe is one the most basic recipes of Kerala that I keep making back to back out of my love for shallots, curry, roast coconut and the dish that is so uberly healthy and wholesome! Want to know how to make it? Head straight to the recipe. 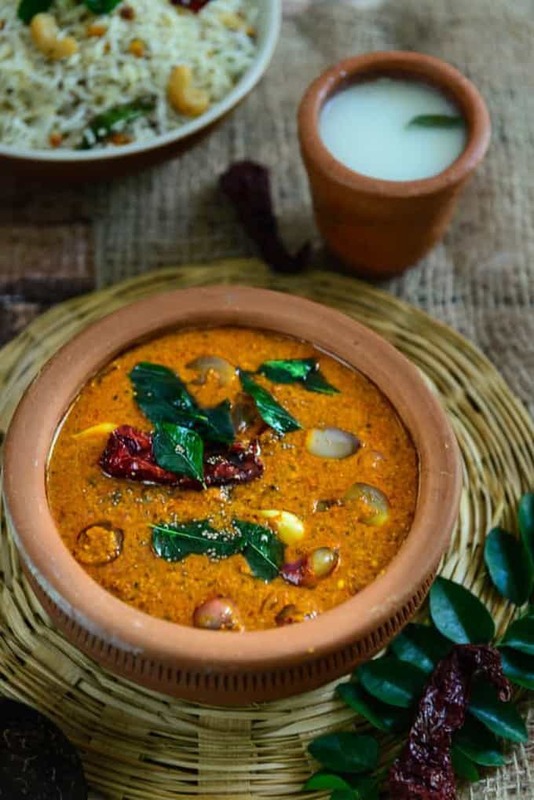 A South Indian gravy that is very typical of the region of Kerala, Ulli refers to small onions or shallots and Theeyal means burnt dish, referring to fried coconut that is used in the preparation. This Ulli Curry gravy is dark brown in color, and loaded with flavor because of the different spices that are used in its preparations. 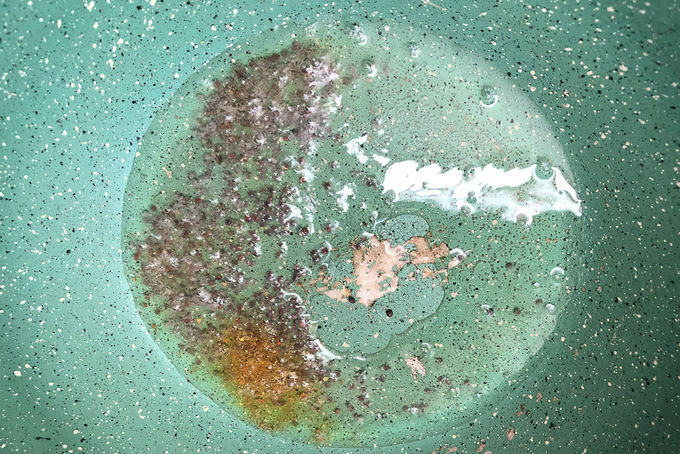 This gravy is also very versatile. You can prepared it using any kind of vegetable, or even seafood or chicken depending on the preferences at your home. It is best enjoyed with plain and simple white rice or coconut rice, with a dollop of Puli Inji or Kerala style Ginger Pickle on the side. This curry taste the best next day as the flavours develop more. So make it a day in advance when you plan to serve it. 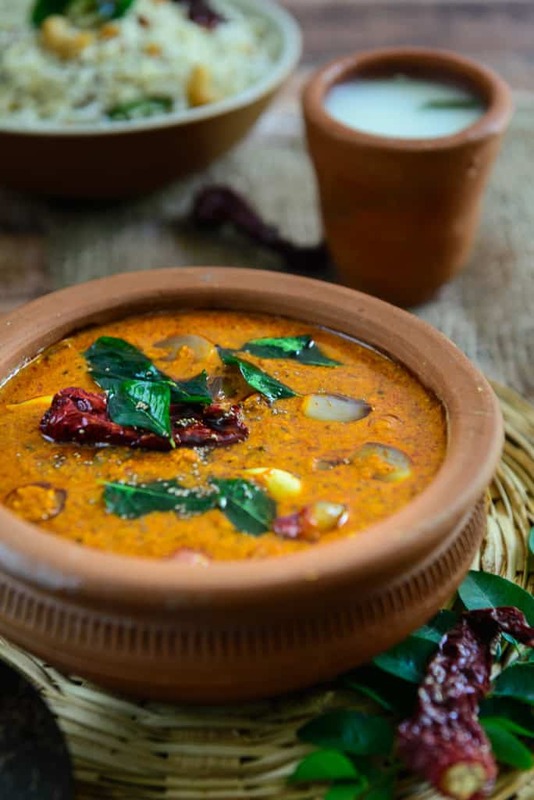 This gravy is very similar to Kuzhambu, another South Indian gravy made with dal, tamarind and veggies. 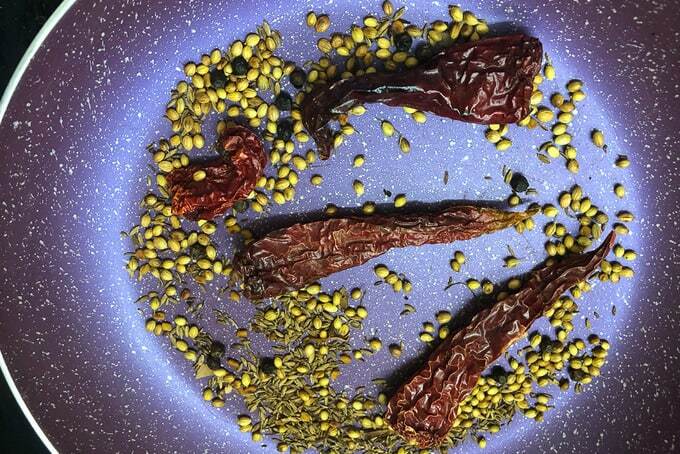 Here is how to make Ulli Theeyal or Ulli Curry. How to make Ulli Theeyal without Coconut? You can also make Ulli Theeyal without coconut. All you have to do is skip the coconut in the recipe and follow the rest of the instructions as mentioned below. How to make Chemmeen Ulli Theeyal? Chemmeen Ulli theeyal is made with prawns. Follow the recipe as mentioned below. Once you add the water, add cleaned prawns along with it and cook for 4-5 minutes until prawns are cooked. Do not overcook otherwise prawns will turn rubbery. How to make Vendakka Ulli Theeyal? To make Vendakka Theeyal, wash 250 g of lady fingers and wipe them with a kitchen towel. Cut them into 1 inch pieces. Heat 2 tsp oil in a pan and fry the lady’s fingers until they are cooked. Now add these cooked vendakka along with the onions in the theeyal. 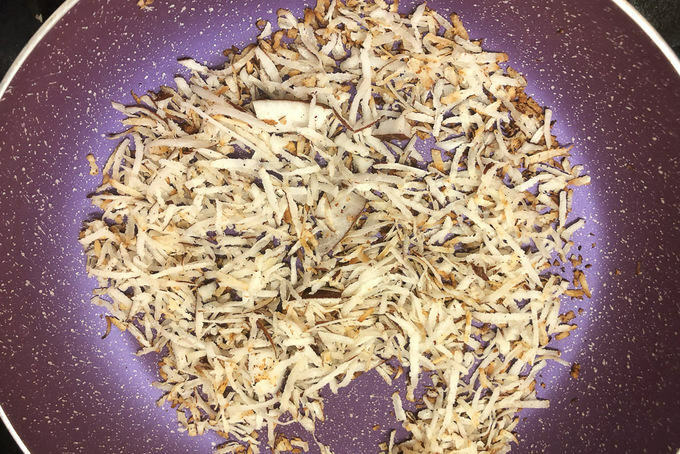 Dry Roast Coconut until browned. Dry roast other ingredients for roasting until browned. Add the roasted ingredients in a blender along with some water and make a paste. Once the oil is hot, add mustard seeds and let them crackle for a few seconds. Add onion and garlic and fry for 4-5 minutes. Add the ground masala, chilli powder, turmeric powder and salt to taste along with a cup of water. Bring this to a boil and simmer for 10-15 minutes. Squeeze the tamarind and add the water in the curry and cook for another minute. 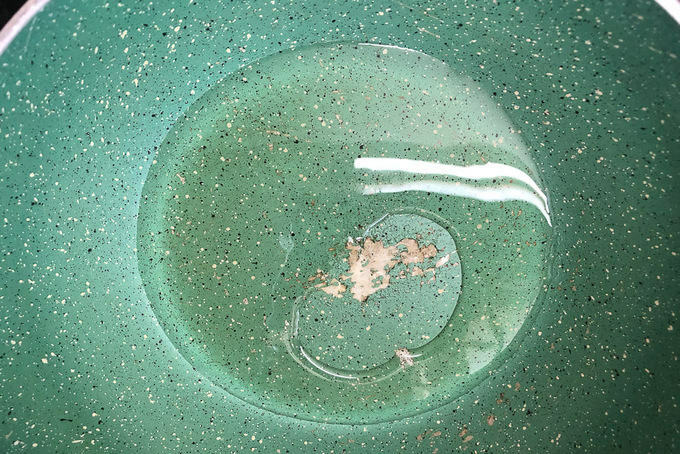 Heat coconut oil for tempering in a pan. 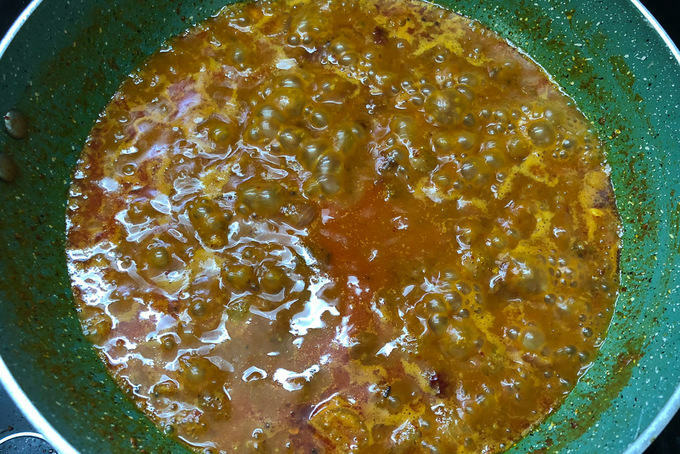 Once the oil is hot, add mustard seeds, curry leaves and dry red chilies and let them crackle for a few seconds. Pour the tempering over the curry. Ulli Theeyal Recipe is a quintessential Kerala gravy that is dark brown, loaded with flavor and best goes with white rice and ginger pickle. Dry roast the remaining roasting ingredients until browned. Add the roasted ingredients in a blender along with some water and grind to make a paste. Now add the ground masala, chilli powder, turmeric powder and salt to taste along with a cup of water. Bring this to a boil and simmer for 10-15 minutes. Squeeze the tamarind and add the water in the curry and cook for another minute. Heat coconut oil for tempering in a pan. 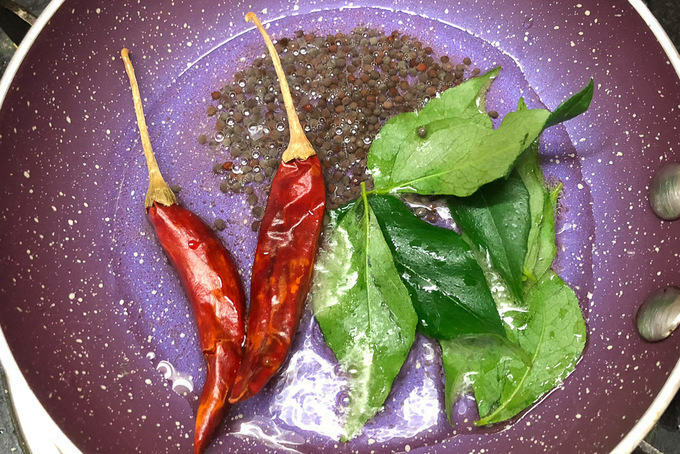 Once the oil is hot, add mustard seeds, curry leaves and dry red chilies and let them crackle for a few seconds. Serve hot with steamed rice or coconut rice. Thnx a lot for trying. It came out so delicious.